Both flap steak and flank steak were lesser known cuts until relatively recently. They have a lot in common, including a tendency to be tough and fibrous. There are are also a lot of differences. Below, we will compare them and examine their similarities and their differences. Let’s break things down in another BBQ Showdown. 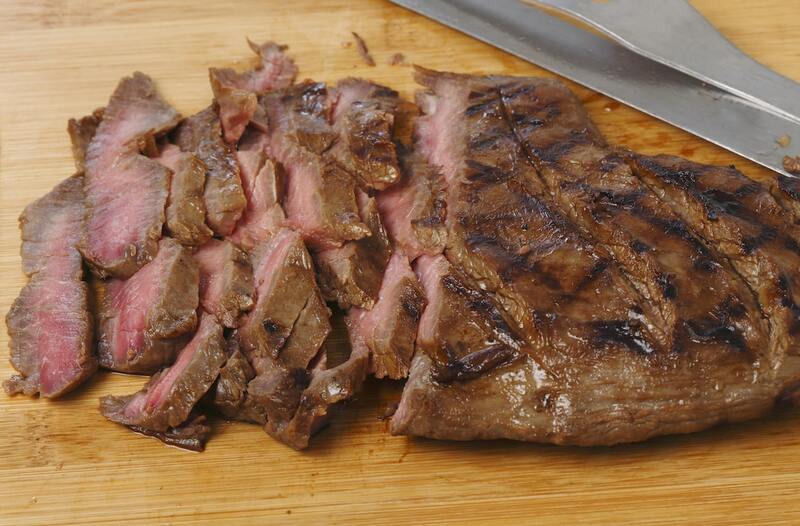 How do flap steak and flank steak differ? Flap steak is one of those cuts that are not particularly well known to anyone aside from chefs and butchers. While they have the potential to be leathery and fibrous, they can be tender and flavorful when the right cooking techniques are applied to them. 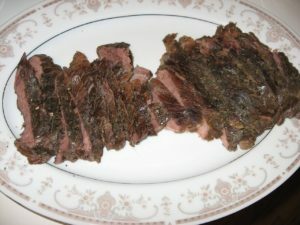 Flap steak differs from flank steak in the location from which it is sourced and in its texture, though the locations are close to each other and the textures are similar. It has more marbling than flank steak, which means that it usually the juicier and more tender of these two options. It is sometimes described as having the best qualities of both skirt and flank steaks in that it is thicker than skirt steaks and has more flavor than flank steaks. The flavor is due to its marbling. However, flank is leaner and thus healthier. It also has a rich beefy flavor that many consider similar to that of liver. Where are these cuts found on the cow? Depending on which butcher you ask, flap steak can come from either the bottom sirloin primal or from the short loin. Most consider it to be part of the bottom sirloin, which is just past the midsection of the animal towards the round. It is often mistaken for skirt steak and incorrectly labeled as such. Do not confuse it with the chuck flap cut, which comes from the chuck primal at the front of the animal. The flap steak is considered a part of the primal from which porterhouse and T-bone steaks are cut. Flank steak comes from a little further down on the cow. It is from the abdominal area, which is an area that gets lots of exercise and blood flow. That exercise and blood flow account for its tougher texture and intense flavor. Both steaks can be tough, which means that both will benefit from an acidic marinade to tenderize their fibers. Flap steak typically has more fat, which means that you will need to be more careful when grilling it as melted fat can cause flare-ups and charring. Cook over a high flame to no more than medium. Flap steak is leaner, so there is less of a risk of flare-ups. It does have a significant amount of flavor despite not being fatty; however, its leanness means that there is a greater risk of dryness when compared to flap steak. It should be cooked quickly over a high flame to no more than medium rare. In both cases, you should slice the steak thinly against the grain when serving. Flank steak is better known of the two and has become trendy in recent years, both for chefs and home cooks. As a result, it may be harder to find and more expensive when you do find it. Flap steak is still not as well known, so it typically sells for a lower price. When should you use flap steak and when should you use flank steak? Flap steak is a better option for Colombian dishes as Colombia is one of the places where this cut is widely used. It is also perfect for all of the dishes that require flank steak. Opt for it if you want the flavor of marbled steak for a lower price. Flank is the better option if you want a leaner, healthier option for traditional flank steak dishes like fajitas.